She chose Management Development Institute of Singapore (MDIS) as her institution of choice when she was studying for a diploma. And MDIS was still her choice when she decided to take up advanced diploma and degree courses. Miss Tan can choose to specialise in advertising, broadcasting or even public relations. 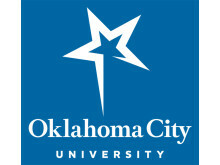 In addition, graduates obtain the Bachelor of Arts degree in mass communications, which is awarded by Oklahoma City University, US, upon completion of the programme. Miss Tan, a line-producer at The Flying Kick Boutique Video Agency, part of the Sinema Media Brand, said her time at MDIS provided her with experience which is useful in her current job. The MCC is fully run by students, with the MDIS faculty providing guidance and mentorship. 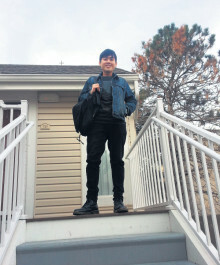 Miss Tan did her last three modules in the US with her partner university, Oklahoma City University, where she handled TV equipment, live recordings and streaming events. Miss Tan is also grateful for MDIS’ efforts to help its students get employed. Miss Tan said the friendships formed and the entire experience at MDIS were “unforgettable”. She added that she gained a lot of exposure through her coursemates, about half of whom were foreign students. - Advanced Diploma in Mass Communications awarded by MDIS and validated by Oklahoma City University, US. - Polytechnic Diploma holders in any disciplines. - Other relevant diplomas may be considered for admission on a case-by-case basis. Other equivalent qualification may be considered on a case-by-case basis. FOOD Foodcourt with Chinese, Western, Indian, Malay ,Vietnamese, Japanese and Korean food stalls. A 7-Eleven convenience store is also available.